On Stage SLD Chrome Guitar Slide On-Stage introduces the line of chrome-plated steel slides, the On Stage SLD Chrome Guitar Slide. On-Stage slides come in a variety of ring sizes to suit the comfort and playing styles of every guitarist. 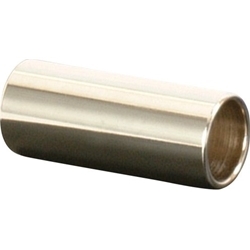 Machined from heavy seamless steel, all their slides produce a crisp, rich musical sustain.